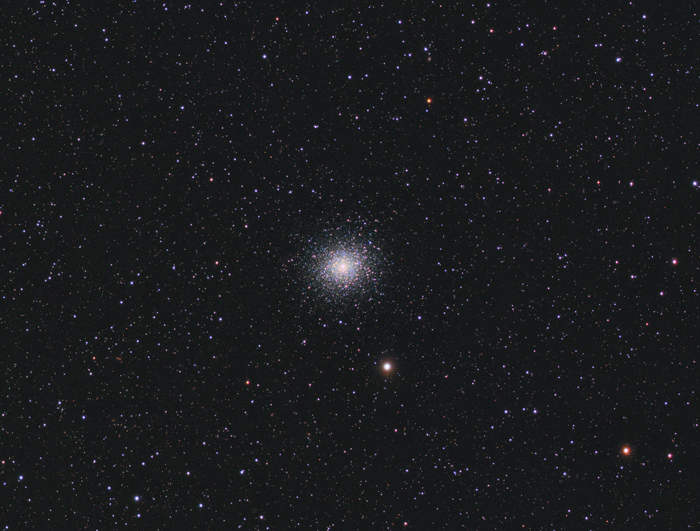 M5 is a slightly elongated globular cluster and is thought to be one of the oldest globular clusters with an age of about 13 billion years. Its diameter of about 165 light years makes it to one of the larger globular clusters. Being about 24'500 light years away, M5 has a diameter of 23 arc minutes in the sky. More information on this fascinating cluster can be found here and here.